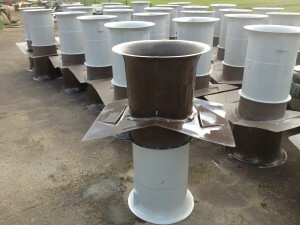 GRP Poultry Chimneys, Air Inlets and Fan Hoods – Cleaner. Smarter. Simply Superior. 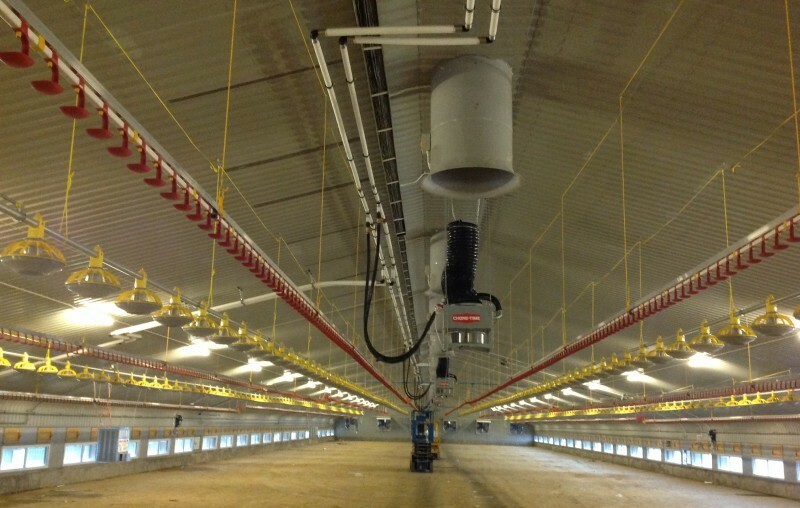 We create IPPC Compliant Poultry Air Ventilation Equipment for greater energy efficiency, healthier environments, and increased yields for you & your farmers. 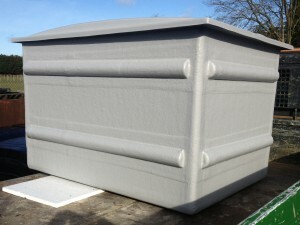 Unique One-piece GRP Construction – Save on Installation. Stainless fixings used throughout – No rusting or rotting. Impervious to pressure-washing, heat and frost. Proven 30%+ increases in energy efficiency. Colour matched to your buildings. UK-wide delivery to suit your crop-cycles. 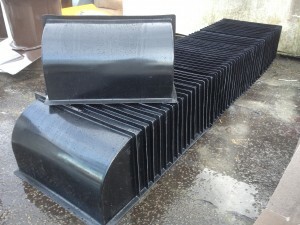 Suitable for New builds or Refurbs. 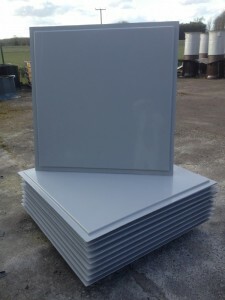 Simple is best, especially in today’s demanding commercial poultry industry.That’s why our range of GRP poultry ventilation chimneys & components has been developed with the busy farmer or shed-builder in mind. Other suppliers will readily provide you with various un-assembled plastic products which have lots of complex pieces which will need putting together before installation. Laborious, costly, and none come with the piece-of-mind that tough, long-lasting, zero maintenance GRP will give you. Are you building new poultry houses? Bringing old houses up to the new regulatory standards? Then we can help. 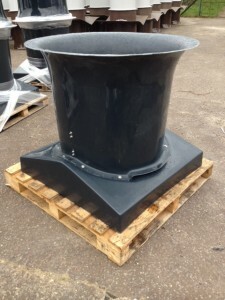 Your new GRP chimneys will arrive completely assembled either with or without the industry-leading Zeihl-Abegg fans which you may wish to source yourself. If it’s air inlet or wall fan hoods you require – our one-piece, flange mounted GRP range will have something to suit your needs. Everything is 100% waterproof and totally UV stable – no more messing around with wood or galvanized steel for you! Call Today on 01362 821357 or fill in the form on the right to Take your buildings to the next level!